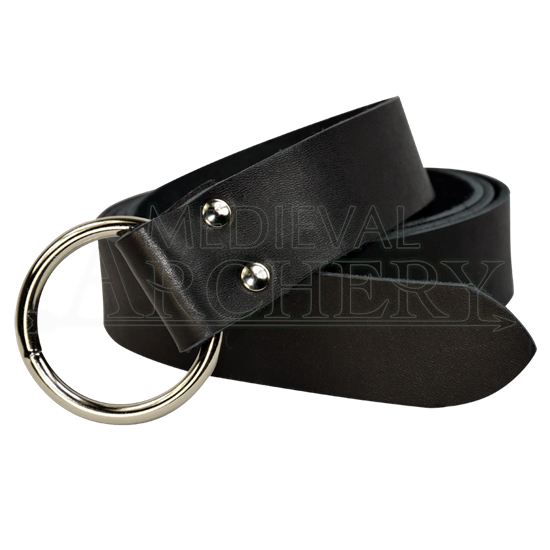 Our Childs Medieval Ring Belt is made of 7/8 oz. sturdy belt leather. It is 1.5 inches wide and 50 inches long. It is available in black, brown, red, green, blue and natural, undyed leather. You also have your choice of silver (steel) or gold (brass) hardware. Childrens size belt. The belt is 50 Inches long. Keep in mind the knot will take up approximately 12 Inches of the leather.